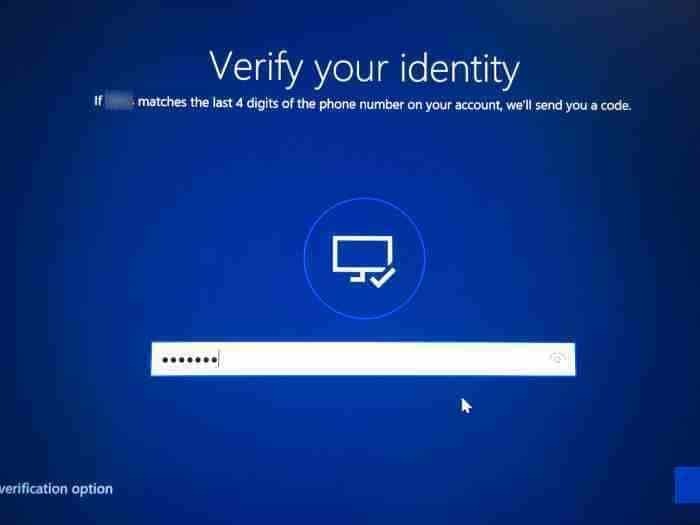 Microsoft allows PC users to sign-in to Windows 10 using a Microsoft account. While it’s possible to create a traditional local user account and use Windows 10 without a Microsoft account, you miss out syncing features when you are using a local user account to sign-in to Windows 10. Most PC users are using a Microsoft account to sign-in to Windows 10. Many of these users often forget the password and want to reset the Microsoft account password. 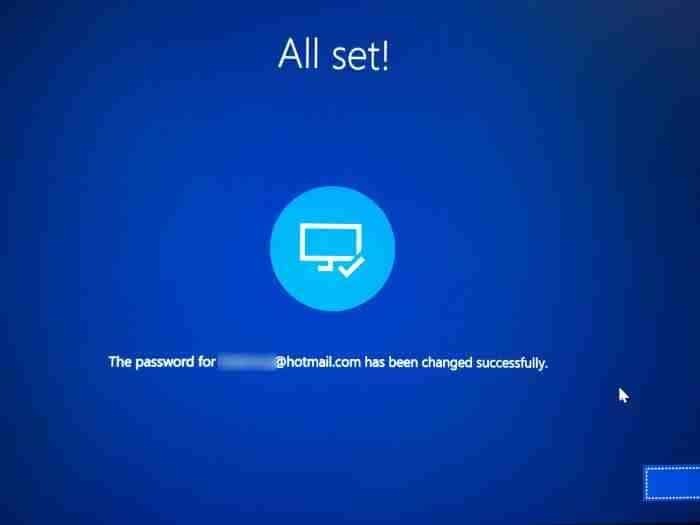 We have previously covered how to reset the Microsoft account password in Windows 10, but the method was not straight-forward thanks to Microsoft. 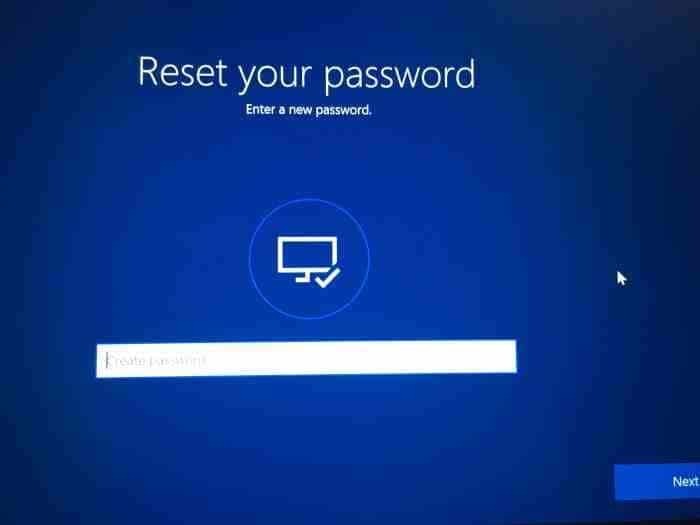 Starting with Windows 10 Fall Creators Update, PC users can reset the Microsoft account password right from the login screen. You just need to make sure that your PC has an active internet connection to reset the Microsoft account password from the login or sign-in screen. Please note that local user account cannot be reset the login screen unless you have a password reset disk. 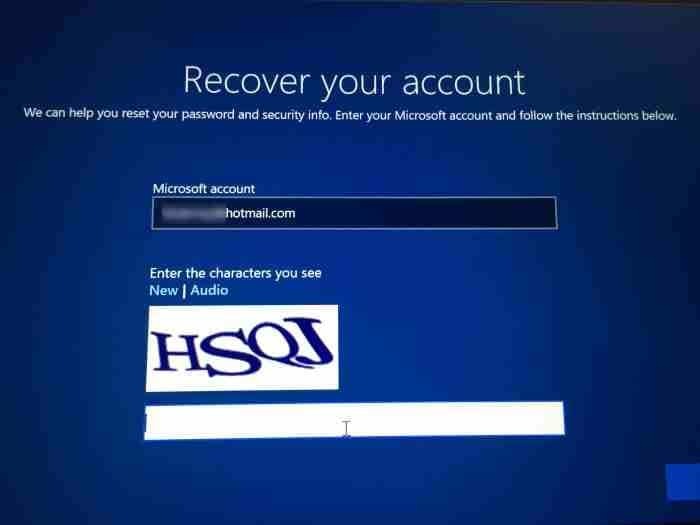 Complete the given below directions to reset Microsoft account from Windows 10 login screen. Step 1: When you are at the sign-in or login screen, you will see “That password is incorrect. Make sure you are using the password for your Microsoft account” message when you type a wrong password. Click OK button. Step 2: Click the I forgot my password link. Step 3: In a few seconds, you will see the “Recover your account” page where you need to type the characters shown on the page and then click Next button. Step 4: Next, you will get “Verify your identity” screen. Here, choose how you would like to get the security code. Select either your contact number or secondary email address that you previously associated with your Microsoft account. Type in the hidden part of the selected secondary email address or contact number and then click Send code to receive the verification code to your mobile number or secondary email address. 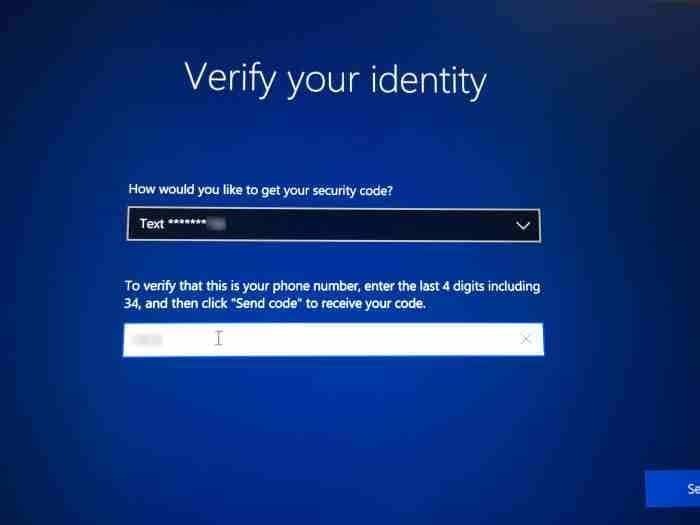 Step 5: Type in the code that you received from Microsoft and then click Next button to verify the same. 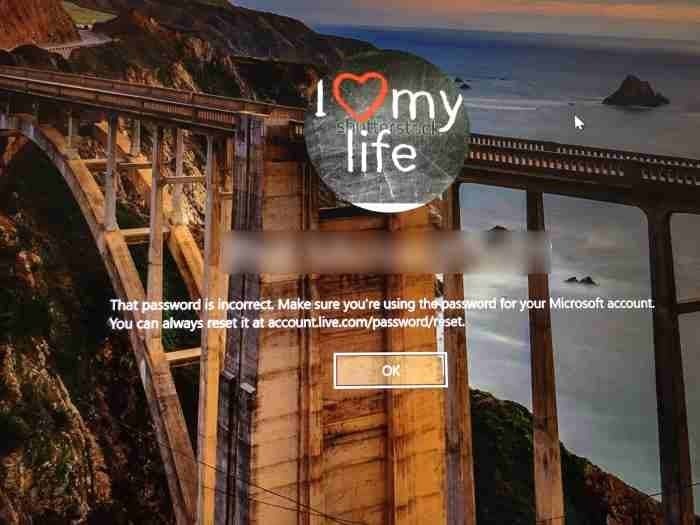 Step 6: Finally, you will see an option to set a new password for your Microsoft account. Type in the password and then click Next button. Step 7: Once the new password is set, you will see ”All set!” message. Click the Next button to switch back to the login screen. 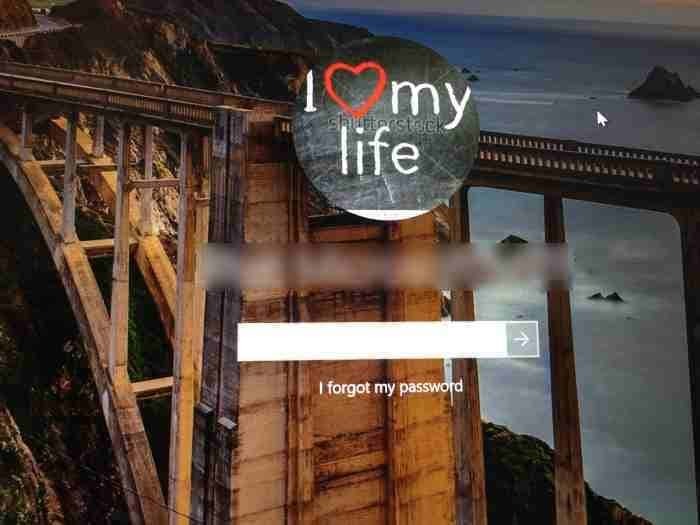 Enter your new Microsoft account password to sign-in to Windows 10 PC. Note that you now need to use this new password not only to sign-in to Windows 10 but also to access other Microsoft services such as OneDrive and Outlook.com.